To be fair, we've only been in Davao for 6 months so I don't know the annual schedule of events for the city. Winnipeg has a pretty short summer so it is packed with festivals. Filipinos love to party so there is always something going on here. 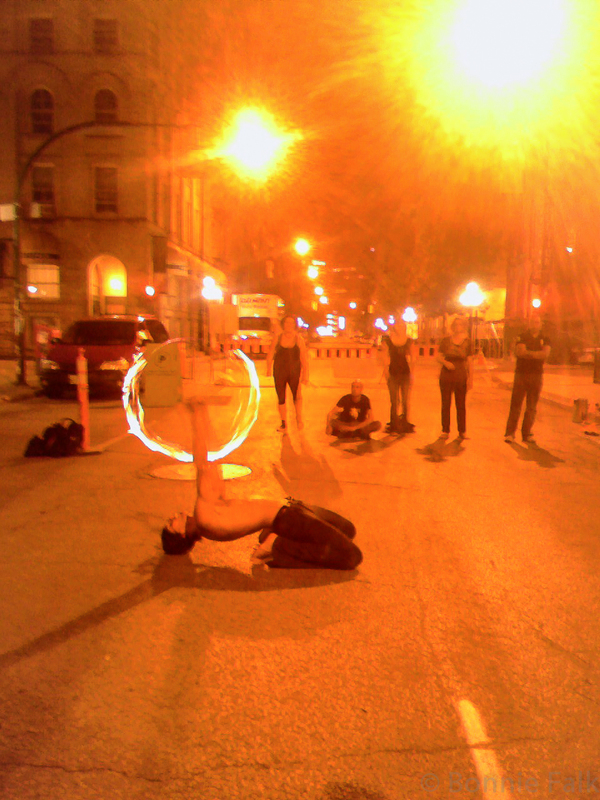 Fire Dancers busking on the street in the Exchange District of Winnipeg during the Fringe. Winnipeg is big on festivals. There is the Festival du Voyagure, Master Playwrights Festival, Comedy Festival, Jazz Fest, Folk Fest, Fringe Theatre Festival (my favourite), Folklorama, International Writers Festival... Plus a variety of film festivals and other events just an hour or two outside of the city! 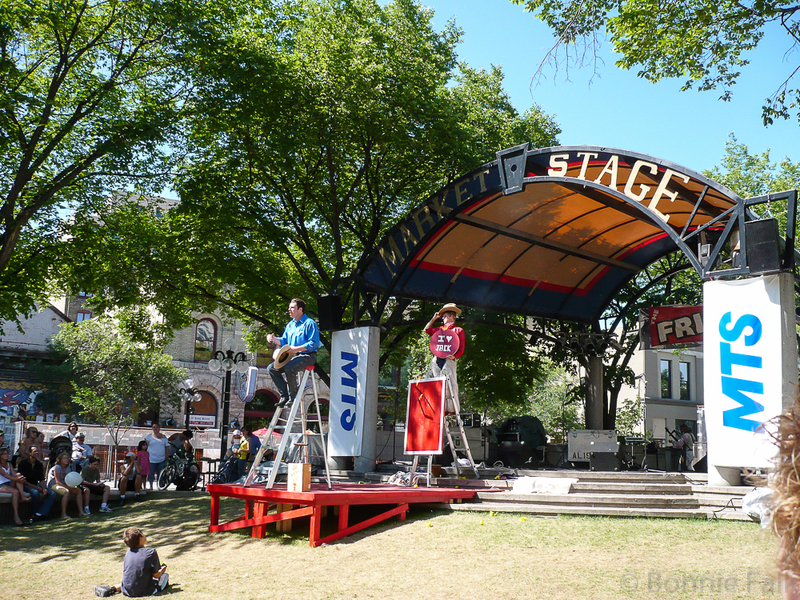 Free stage at the Fringe. Hey Jack and Shelby! Permanent arts and cultural companies include the Winnipeg Art Gallery, Manitoba Museum, Royal Winnipeg Ballet, Manitoba Opera, Winnipeg Symphony Orchestra, Manitoba Theatre Centre and tonnes more smaller galleries, theatres and other musical companies. 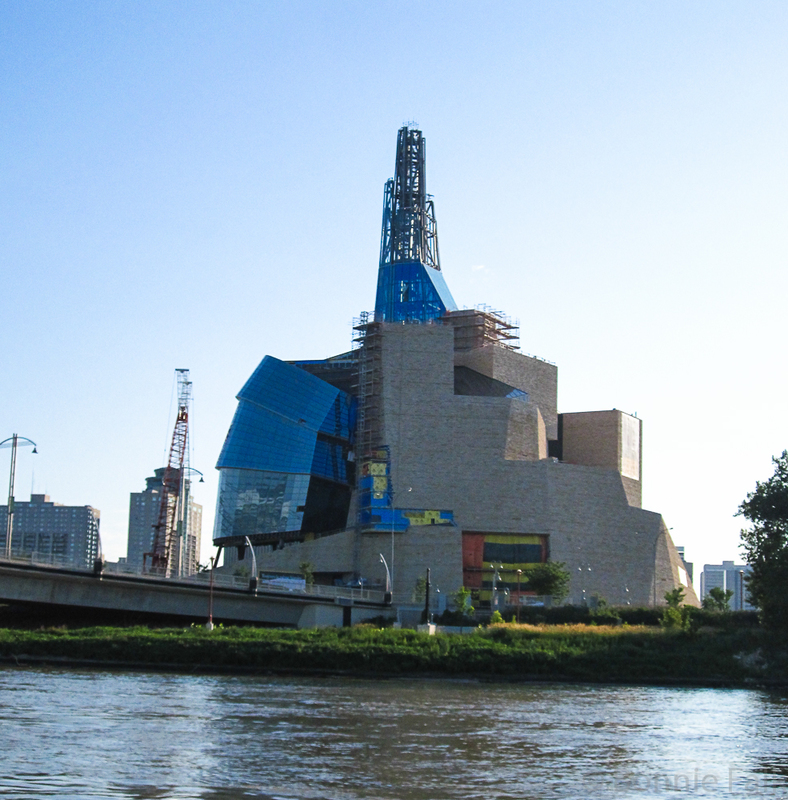 Soon to open is the controversial Canadian Museum for Human Rights. Canadian Museum for Human Rights. Lots of glass and limestone. Still under construction. Sports... um... We got the Jets back! And there are the Blue Bombers. Oh, and Goldeyes baseball. I'm not into sports but I guess that is a form of entertainment. 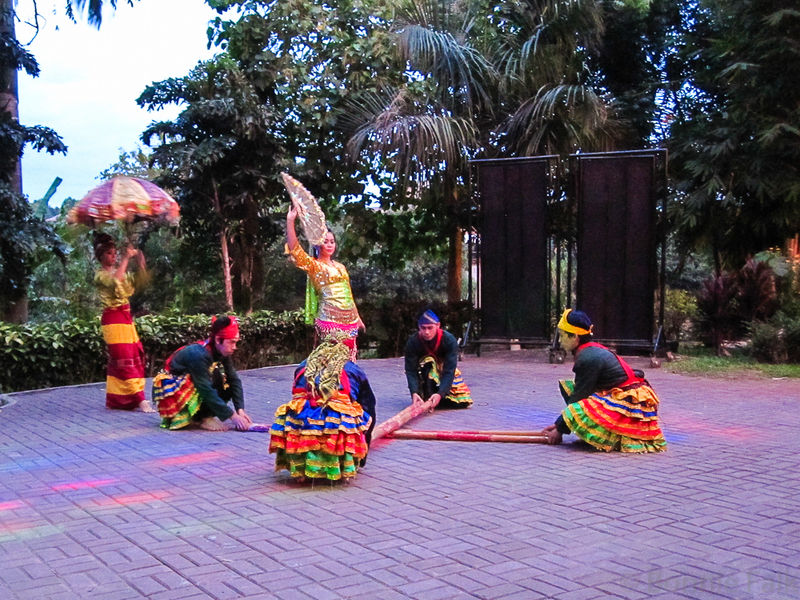 In Davao we have yet to discover any form of performing arts of the calibre we were used to in Winnipeg. I think renting a karaoke machine for a party is the replacement! Davao is a more casual city. Here you can go to the beach or visit a nature park or try out a zorb or climb a currently inactive volcano. We haven't done the last two yet. They are on the list. Davao does have a few festivals. I missed the Araw ng Dabaw when I was travelling for work. In August will be the big one; Kadayawan Festival. It is a harvest thanksgiving celebration. We got here in October so we're looking forward to checking it out this summer! A talent competition. Some little boy, maybe 8 years old, totally killed at an Adele song! There are also public events held in malls quite often. 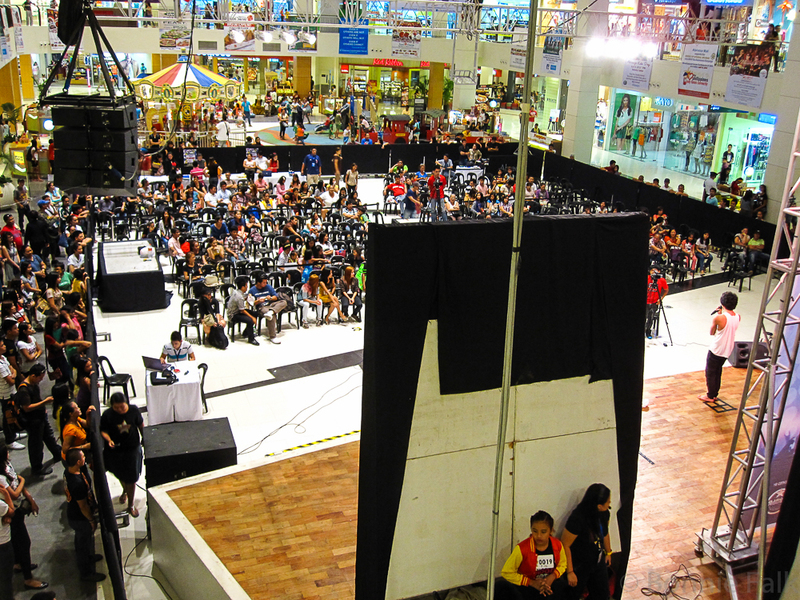 Most of the newer malls here have large open areas where they can set up a stage and sound system and have performances, fashion shows and competitions. I guess even entertainment is that much more social here. In movie theatres people still chat. Oh and you can bring in food! Evan and I had burritos while we watched the latest GI Joe movie. 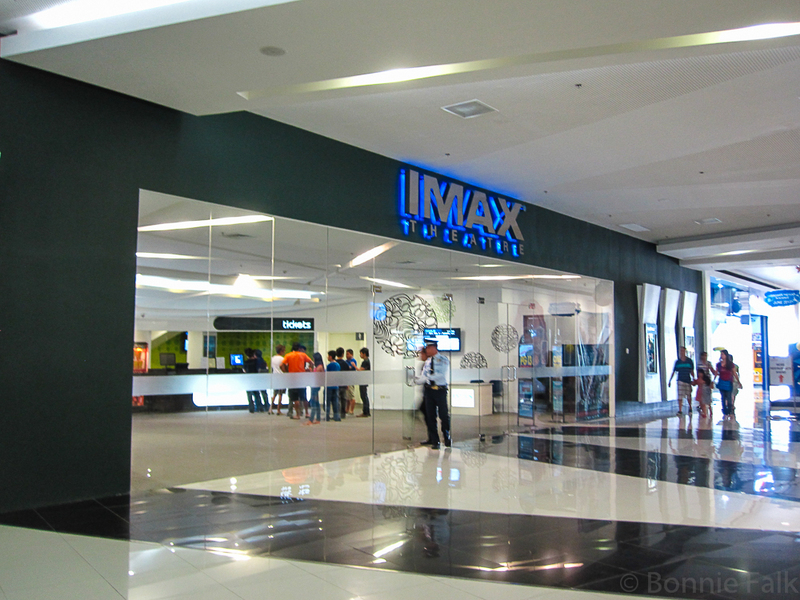 Shiny new IMAX in Lanang. The Philippines isn't really big on festivals. Now I want ro go to Winipeg and watch all those you mentioned! I LOVE the summer festivals in Winnipeg! Fringe is my favourite time of year. Performers from all over the world come there and it is awesome! Yeah, I've come across a few of them this year. Go Canada! My first read about Canadian social events. Liked reading your post. I'm starting to think my city and Winnipeg are cousins. My mum loved Winnipeg, she said it was well laid out and there was lots to do. I don't know about well laid out, but definitely lots to do! I love your post. Very descriptive. I'm so glad you included images. Perfect! Thank you so much! And yes, this is all about sharing blogs! It seems that few people make it down here. It is great! You have so much to do that you'll never be bored! Send some of those festivals to me. My city is boring. Some day!! Winnipeg is on my bucket list.